While Mickey D’s might not be known for its health benefits, it does keep one PETA-friendly food item on its iconic menu: Baked Apple Pie. 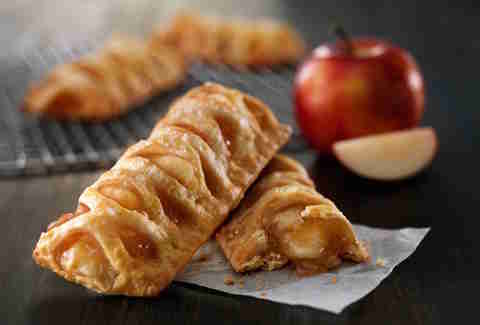 The piping-hot dessert pocket is stuffed with real apples, palm oil, high-fructose corn syrup, cinnamon, brown sugar, salt, something called “apple powder,” and a bunch of other miscellany, but it does not, in fact, contain a single animal product. That’s right -- no butter, no lard, no upset celebrity activists. I know what you’re thinking -- what about the French fries! And my beloved hash browns! Sorry veg-heads, both of those crispy sides are infused with natural beef flavor that, in a move that can only be described as a meaty one-two punch, incorporates milk derivatives into its base. 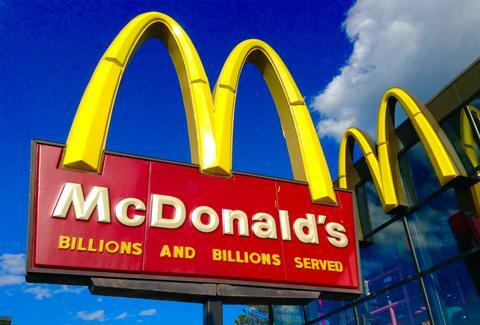 So aside from condiments, sodas, coffee, plain sliced apples, an undressed salad (literally no point), and maybe the cone part of the ice cream cone, the American-est of all pies is the only 100%-certified vegan McDonald’s original. So the next time that animal rights activist buddy of yours requests a custom Big Mac (hold the cheese, no meat, extra pickles, extra lettuce, no special sauce, no onions), feel free to steer him toward this sweet, simple delight. What’s a bread sandwich without a little dessert, right? Meredith Heil is a staff writer for Thrillist. Jukebox records, flatfooted cops, she gets automatic systematic jumpin' in her socks -- Mama's apple pie in the park, hopscotch. Follow @mereditto through the drive-thru.